When immersed in an industry of modern comedians and their anecdotes of millennial angst, it is sometimes easy to forget how simplistically beautiful comedy can be, and once was. Jon S. Baird’s Stan and Ollie is a sweet reminder of the humanity behind humour, and the pleasure of those who make us laugh and love. Stan and Ollie depicts the lives of the world-renowned comedy duo, Laurel and Hardy. Delving beyond their on-screen and stage personas, we see two men living for laughter and, even if they don’t admit it, each other. The faultless performances of Steve Coogan (Laurel) and John C. Reilly (Hardy) tell us of their not-so-faultless dynamic behind their on-screen chemistry. This film seeps with nostalgia, and reminded me of an early memory of the true silver screen, before cinematic comedy became reduced to monstrosities featuring Megan McCarthy and Adam Sandler. Aged seven, when our teacher showed us The Music Box, most sighed when they saw the black and white palette. I did too, until I was charmed by the powerful innocence of two men and their slapstick gags that soothed and entertained the masses in the same way it did I. And I can safely say that, even though the lens was less focused on the genius comedic writings of Stan Laurel himself and more on their relationship beyond the peak of their career, this charm that I remember so fondly still found itself through the modern screen — I believe that this was solely down to the dramatic power of the two leading actors. Although their physical resemblance aids greatly, the ownership and legitimacy of both Coogan’s and Reilly’s portrayal of the duo defined the film’s magnetism. I must address that there were times when Stan and Ollie had me not engaged entirely. I felt it was rather tedious at moments with its relatively slow-moving narrative. However, regardless of feeling slightly underwhelmed by the film as a whole, its true effect upon me exposed itself after I left the seat. On reflection, I was reminded of the reason why I adore film, and it had the quality of any piece I come to love: a sense of humanity, and an enlightening, whole-hearted portrayal of it. In this case, that was definitely achieved, if not epitomised, as we in the modern day were provided with evidence of the story behind the artists and their contribution to the world. It is impossible not to understand the feeling of watching the magic like the mass audiences across many decades did and, like I at seven years old, will never forget. 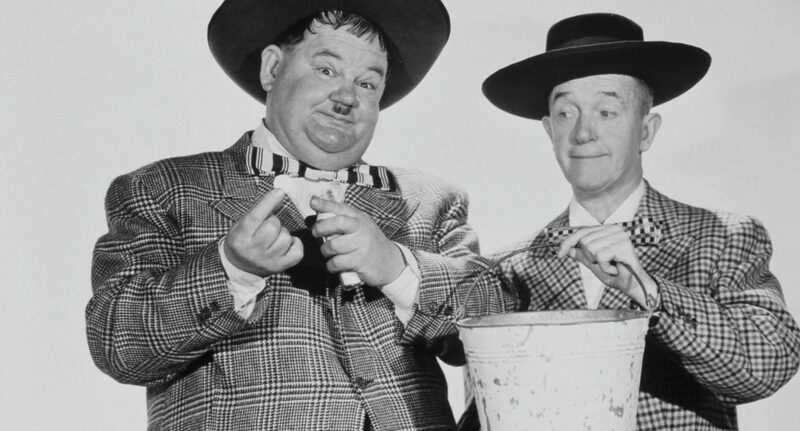 Stan and Ollie definitely communicated the immortality of Laurel and Hardy, not just due to their universally beloved contribution to comedy but for their pioneering of what a true partnership is. The harmonious performance, even in scenes of conflict, for Coogan and Reilly’s characters truly embodied this, made this re-telling of a great act and friendship raw and warming to the heart. I came home and immediately felt compelled to re-watch The Music Box. It’s safe to say that, after watching Stan and Ollie, my smile from all those years ago felt a little wider.